This exhibition brings together a diverse collection of artworks within 3-5 Silent Street, Ipswich, Suffolk, highlighting the unique historical setting of the building and surrounding area. Locals know the 500 year old building more recently as a book shop. Now, however, it is vacant and a thorough investigation of the material properties of the structure is underway. 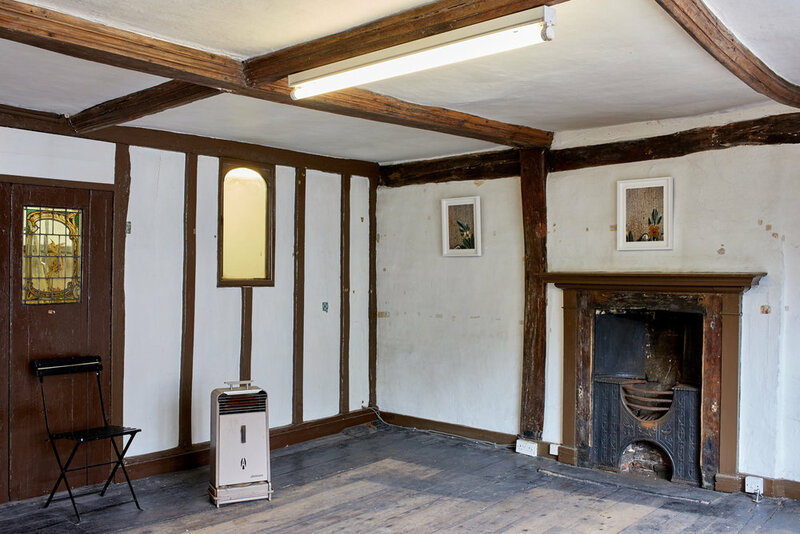 Artworks are placed between the traces of this audit, in the patches of delicately stripped paint, the samples taken from wooden beams, partially revealed wallpaper and excavated floors. Distributed between these artefacts of archaeological enquiry, the artworks enact a questioning of the site’s material and historic nature.